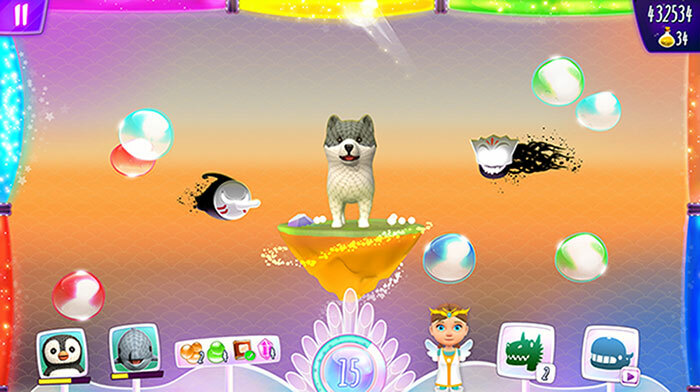 Throw bubbles of life into the luminous tanks and save animals in danger. Lyla and Luke will be your guides into a magic journey through the Rescute Islands where you will find awesome allies that will help you in your mission, a mission from the heart. Have fun and relax as you help animals to have a better life in a better world! 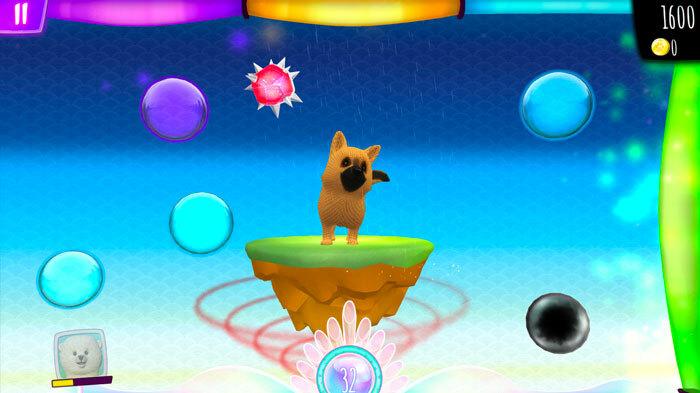 Rescute Animals is a different game that will make you feel different! 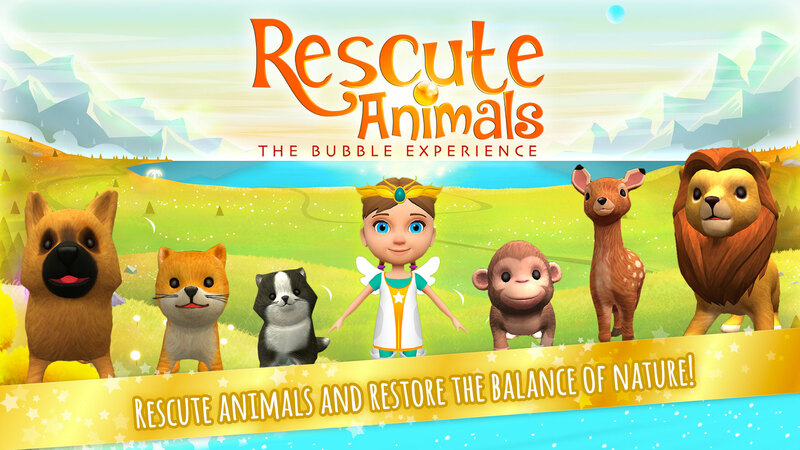 Discover the power of bubbles to save animals while you also do it in Real life. We do it for you: we contribute 7% of the profits of this game to animal welfare organizations. We know you care about animals as we do! Once saved, the animals will be your friends and you can take care of them, giving them food and love to grow together in the Sanctuary. 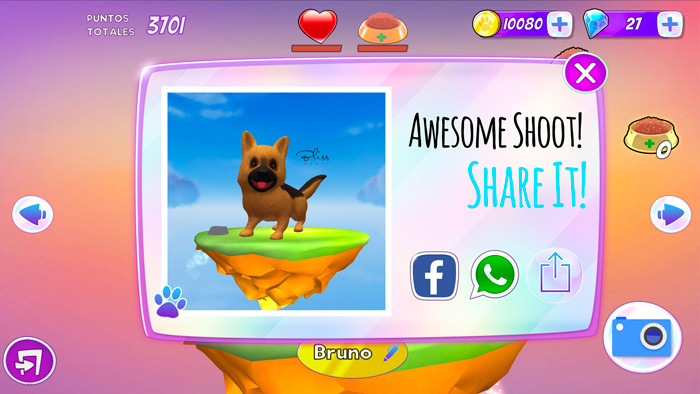 You’ll have also amazing options to share your rescute adventures on Facebook or Whatsapp! Do you love animals? We too! 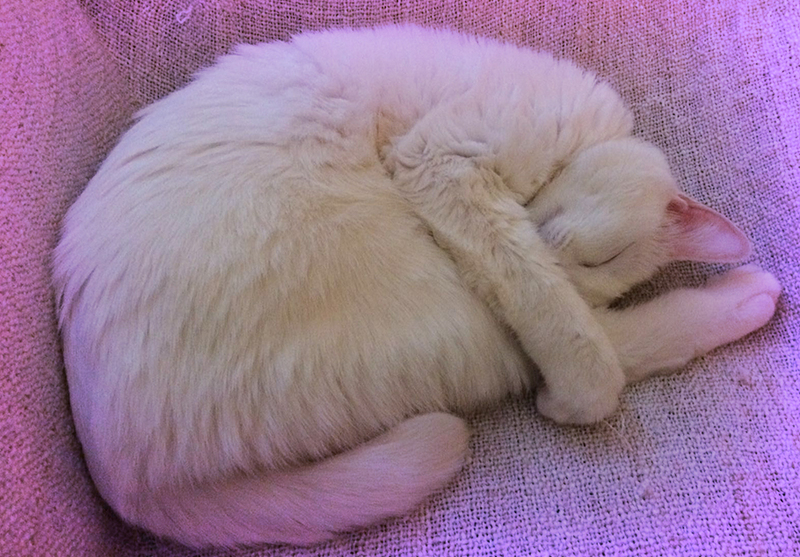 You can make awesome pictures to your animals in the Sanctuary and share them with your friends. Share your rescute adventures on Facebook or Whatsapp! Sharing cute animals photos with lovely phrases is a great way to see and love animals all over the world. Share your Real story with the world through the game! 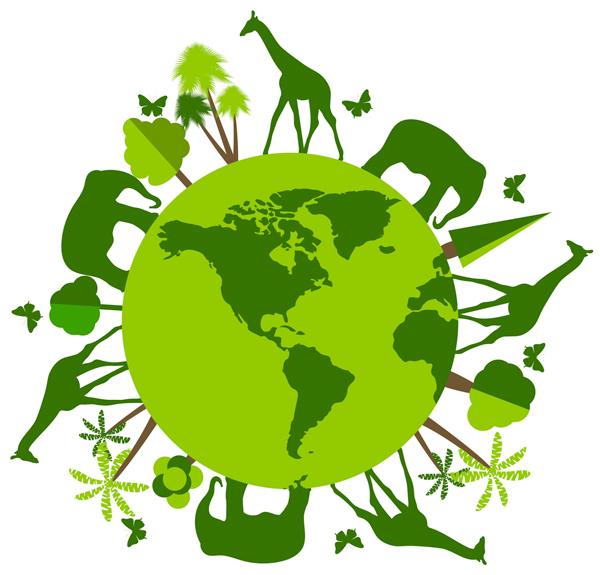 We know you love animals, we bet you have some cool experiences with them. 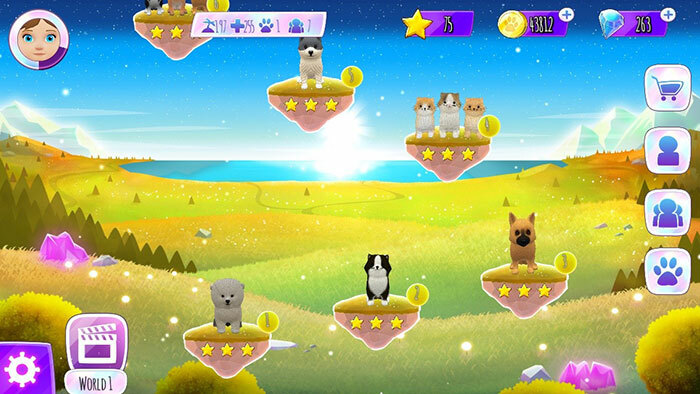 We include one player real story per month in Rescute Animals game. Share your real story! Send us your real story by posting it in our facebook wall or using the email form. We just need a little description explaining how was your animal rescue and 2 pictures of the animal, one before and one after the rescue. 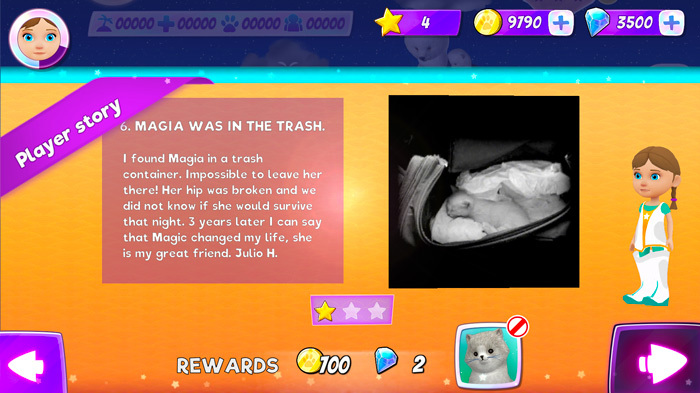 Share your story in the digital world and let your friend be a star! One player real story will be published each month in the game. 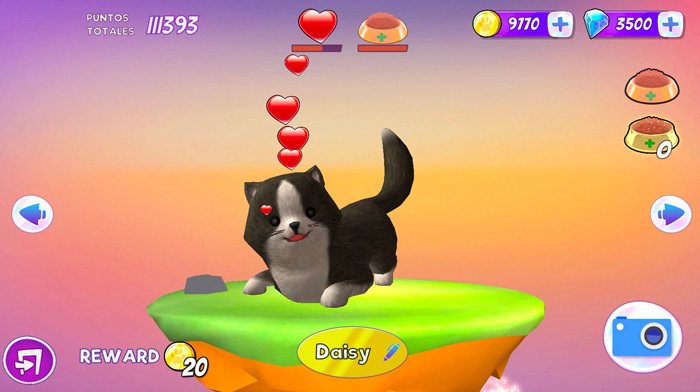 12 levels to help cute dogs, cats and puppies. 3 modes on each level: 36 total screens to enjoy. Gurus, Dragons and Whales are your allies in the game. 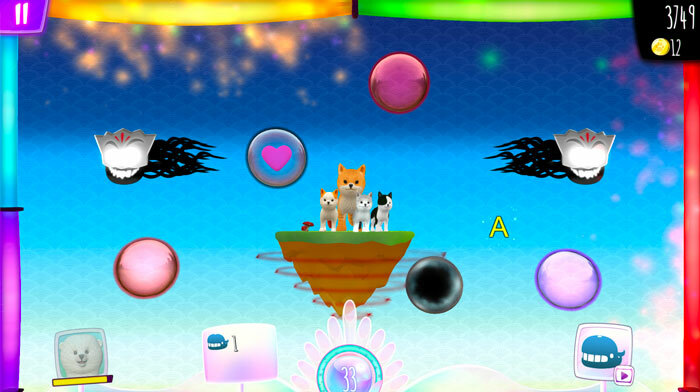 Combos, Obstacles, Enemies and Power ups to enjoy the different levels. Pets Sanctuary: the place to take care of your friends. 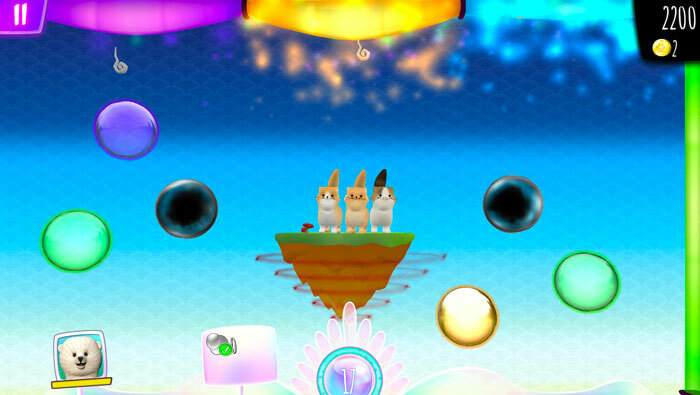 Incredible graphics that immerse you in a world of light and color. Coming soon 3 more worlds! Sylvan, Polar and Maritime. 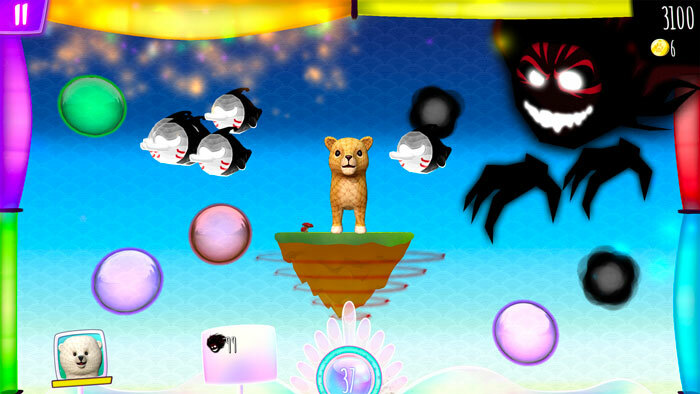 Slide bubbles to save endangered animals in this exciting game full of light and color! 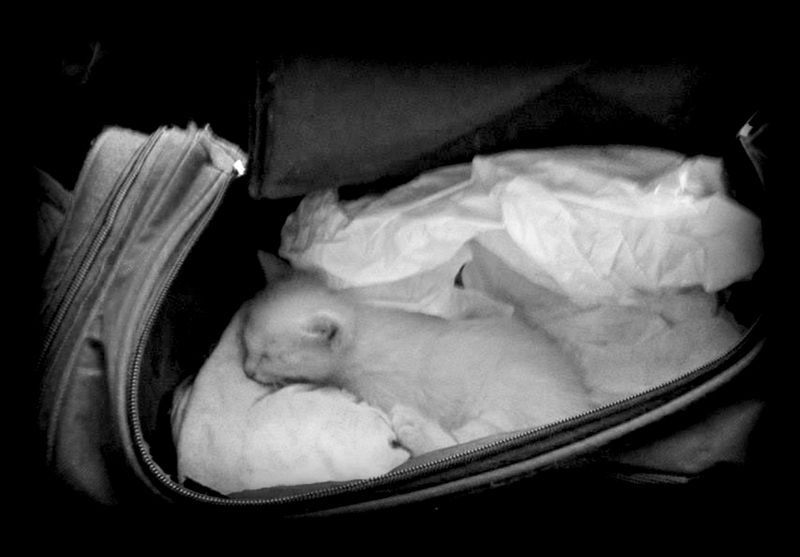 Contact us for any information or to send us your real story for Rescute Animals.